JEFFERSON CITY – Missouri's new attorney general said in an amicus brief he recently filed with the state's highest court that "de facto debtors' prisons" in the state "must end." "The practice of taxing an inmate's jail debt as 'court costs' and then seeking to collect it through repeated show-cause hearings under threat of incarceration is unauthorized by law and must end," Attorney General Eric Schmitt said in his 30-page amicus brief filed Jan. 7. "No statute authorizes the practice, and it lends itself to abuses that threaten the constitutional rights of Missouri citizens." Specifically, Schmitt argues in the brief that Missouri courts should change the way it seeks payment for incarcerating prisoners, which right now is paid for by charging indigent inmates what is commonly referred to as board bills. Inmates who cannot pay can end up back in jail over their board bill and then are pushed further into debt for the costs of continued incarceration. 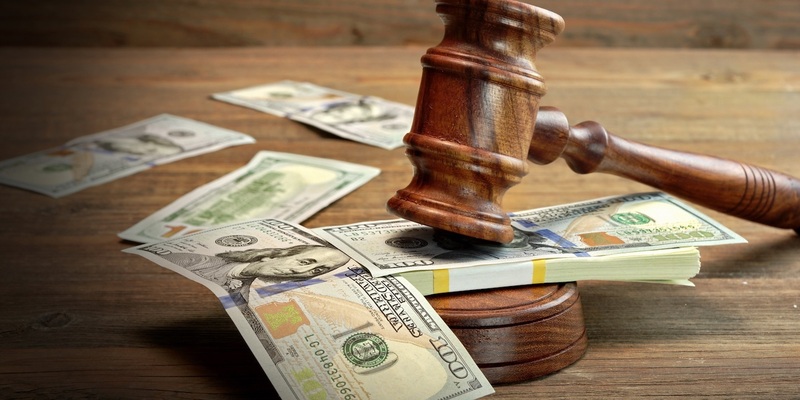 "Courts should not be using the threat of jail time to generate funds for bloated big government budgets when other means of collection exist," Schmitt said in a news release issued the same day as the amicus brief. "De facto debtors' prisons have no place in Missouri, and I am proud to stand up against a system that seeks to treat its poorer citizens as ATMs." A Republican, and most recently the state's treasurer, Schmitt was appointed attorney general to succeed Josh Hawley, who was sworn into his new seat in the U.S. Senate on Jan. 3. A St. Louis County native and graduate of De Smet Jesuit High School and Truman State University, Schmitt holds a law degree from St. Louis University School of Law. He served two terms in the Missouri state Senate, from 2009 to 2017, and is a former partner in the Kansas City law firm Lathrop Gage. Schmitt was sworn in on Jan. 3 and the amicus brief was submitted to Missouri's highest court four days later. Schmitt filed the brief in the case of George Richey of Appleton City, who was sent back to jail after he failed to pay his first board bill and, as a result, was saddled with a second board bill. "Richey was originally assessed a board bill of $3,150 after serving a 90-day sentence for violating a protective order, spent additional time in custody on a failure to pay warrant, and then was assessed an additional board bill of $2,275 for his second stay in custody," the brief said. TheGeneral Assembly "could reasonably conclude" that cases such as Richey's "reflect excessively harsh attempts to extract jail debt from inmates of limited means, and that taxing jail debt as court costs in such cases is ultimately self-defeating as a policy matter," the brief said. "Notably, as the facts of this case reflect, the board bill frequently involves a much greater financial liability than all the authorized court costs combined, sometimes by orders of magnitude, and the inmate has much greater difficulty making prompt full payment of the jail debt," the brief continued. "Authorizing a method of collection that may lead to serial incarceration for a relatively larger debt like the board bill can have perverse consequences. Incarceration may make it more difficult, not less, for the inmate to pay his or her debts to the State, including the board bill itself."